Disney wrecked it at the 40th Annie Awards on Saturday, taking home 10 trophies, including the top prize for “Wreck-It Ralph,” one of five honors for its animated feature. It was a show that spread a lot of love around the animation studios. DreamWorks Animation picked up six Annies, mostly for its “Dragons: Riders of Berk” TV skein, which nabbed four. Nickelodeon had three wins, while Laika/Focus Features and Disney sibling Pixar picked up two apiece. 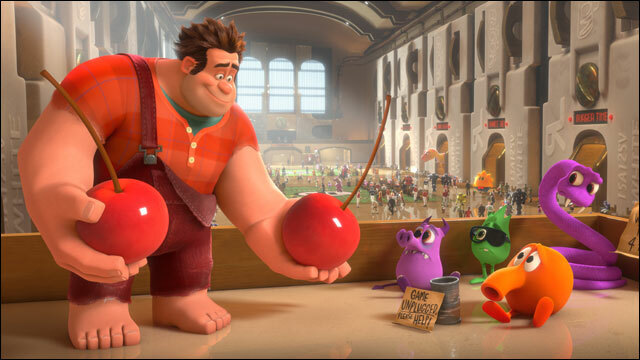 The win for “Wreck-It Ralph” raises the speculation of whether it will go on to snare the granddaddy prize on Feb. 24. The Annies and the Oscars have had a long history of anointing the same pic with their trophies, however, recently the winners have ping-ponged every other year. In this year’s charge to the Academy Awards, there has been no clear favorite. So far this awards season, the wins have been spread around between “Ralph,” Disney’s “Frankenweenie” and Laika/Focus Features’ “ParaNorman.” Pixar’s “Brave” picked up the Golden Globe and DWA’s “Rise of the Guardians,” which isn’t among the Acad nominees, was a fave among various critics groups. In addition to its feature win, “Wreck-It Ralph” picked up honors for helmer Rich Moore, voice actor Alan Tudyk, music and writing.The show, hosted by film critic Leonard Maltin, thesp Seth Green (an Annie winner for “Robot Chicken”) and voice actors Maurice LaMarche and Rob Paulsen at UCLA’s Royce Hall, was a raucous affair with good-natured frustration over Teleprompter problems, miscued nominee clips and wardrobe malfunctions. The night’s other winners included Disney’s “Paperman,” John Kahrs’ marriage of traditional and computer animation, which won for animated short. Disney-Marvel’s superhero extravaganza “The Avengers” took home a trophy for animated effects in a live-action production, with the award going to Industrial Light & Magic. The tiger in Fox 2000’s “Life of Pi” scored an Annie for Rhythm & Hues for character animation in a live-action production. “Dragons: Riders of Berk” led the TV categories, winning TV production for children, helming (John Eng), music and storyboarding. There were also a special surprise for Annies founder June Foray. The voice-acting legend received the Dallas Film Festival’s Texas Avery Animation Award for lifetime achievement, which until Saturday had never been given outside of Texas. The trophy is inspired by Avery’s wolf from “Red Hot Riding Hood,” which featured Foray’s voice as a cigarette girl. Other special awards went to independent animator Oscar Grillo, filmmaker Terry Gilliam and Disney vet Mark Henn, who were honored with the Winsor McCay Award, which recognizes lifetime achievement in animation. A humble Grillo took the stage saying that “at least 123” others deserved the award more than he did. Gilliam, who was not present, sent a video in which he sarcastically said “Gilliam was a cheap little thief” and that he “died during the filming of ‘Monty Python and the Holy Grail'” so he was going to accept on behalf of the deceased. Disney communications exec Howard Green received the June Foray Award for charitable contributions to animation. Toon Boom Pipeline received the Ub Iwerks Award for technical advancements. The Annie Awards were presented at Royce Hall on the campus of UCLA.